advanced therapeutic endoscopy and endoscopic retrograde cholangiopancreatography (ERCP) to treat disorders of the pancreas and bile ducts such as acute and chronic pancreatitis, pancreatic cancer, pancreas divisum, common bile duct stones, sphincter of Oddi dysfunction and other causes of biliary obstruction. 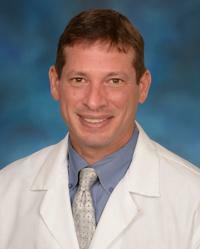 Dr. Goldberg also has interests in the endoscopic management of gastroesophageal reflux disease utilizing transoral incisional fundoplication therapy, as well as esophageal and enteral stenting. Dr. Goldberg runs the capsule endoscopy program at the University of Maryland. He uses this technology along with single balloon enteroscopy to manage diseases of the small intestine.